This book presents contributions by thirteen scholars of Chinese and Japanese literature whose work is characterised by a strong interest in literary theory. They focus in particular on the various new theories that have emerged during the past two decades, uprooting traditional forms of understanding literary texts, their function, their readership and their interpretation. Often confined to discussion of a specific country or area, these theories have been criticised for their Western bias. 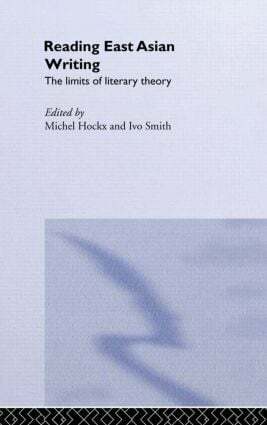 This collection breaks through these barriers, providing an opportunity for scholars of two closely related yet often independently studied cultures to present and compare their views on specific theories of literature, to discuss the advantages and shortcomings of those theories, and to consider specific difficulties related to the East-West dimension. Michel Hockx is Senior Lecturer in modern Chinese literature and language at the School of Oriental and African Studies, University of London. He has published widely on modern Chinese literature. His most recent monograph is Questions of Style: Literary Societies and Literary Journals in Modern China (forthcoming, E J Brill: 2002). Ivo Smits is Lecturer in Japanese literature at Leiden University. He is author of The Pursuit of Loneliness: Chinese and Japanese Nature Poetry in Medieval Japan (Franz Steiner Verlag: 1995) and the editor of Bridging the Divide: 400 Years The Netherlands-Japan (Teleac/NOT & Hotei Publishing: 2000).